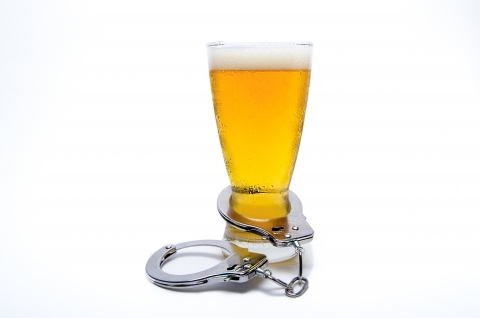 In our previous post, we discussed the DUI process, including from the time you were arrested to the arraignment. This process can be overwhelming and without the right representation, these steps can be confusing and difficult to manage. The average person rarely has the necessary knowledge or experience to go to court and face a judge alone. 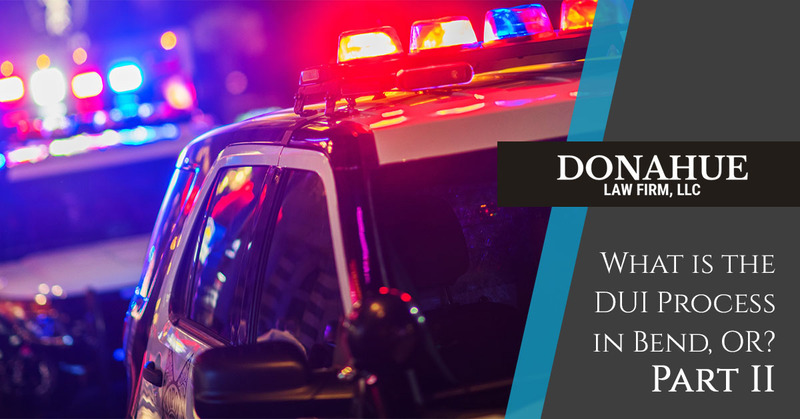 If you were charged with a DUI in Bend, OR, get in touch with the DUI attorneys at Donahue Law Firm. We will ensure that you have someone on your side to fight for your rights. In this post, we’ll finish going over the process, including details regarding the preliminary hearing, the trial, sentencing, and appealing. At your arraignment, you have the opportunity to either plead guilty or not guilty. If you and your DUI attorney decided that it was best to plead not guilty, the next step is a preliminary hearing. At the hearing, the judge will look at the evidence of the case and determine whether or not there needs to be a trial. This step in the process may feel like a trial, as a state prosecutor can call witnesses that were at the scene. These people will help build a case against you in order to show that a trial should occur. The state prosecutor may also provide any other relevant information or evidence to prove that you were under the influence while driving. Your attorney can cross-examine these witnesses and argue any against any evidence provided. When all witnesses have been seen and evidence has been entered, the judge will determine whether the case should be dismissed or if there should be a trial. Going to trial for a DUI is rare, as most DUI attorneys want to avoid the case going this far. A majority of cases end in a plea agreement and a small group of cases are dismissed. If you do not want to accept a plea deal and the case is not dismissed, here are the basic steps of a DUI trial. Jury Selection: A typical jury selection involves various people being interviewed by the court. Your lawyer and the defense attorney are also able to question the prospective jurors. Jurors who the lawyers find to be unfit for the case will be dismissed. Opening Statements: Both your lawyer and the defense attorney will present their evidence in a brief outline to either prove that you were driving under the influence or to prove that there is insufficient evidence to charge you with a crime. Witnesses: Both your lawyer and the defense attorney will have an opportunity to bring in witnesses to question and cross-examine. Closing Arguments: Both sides will present their final arguments. The prosecution will discuss the evidence and reasons why you should be charged with the crime. Your attorney will try to persuade the jury that the prosecution did not offer enough evidence to avoid reasonable doubt. Deliberation: The jury will discuss the case and they can either come to a total agreement, or there could be a retrial if they did not fully agree. Whether you plead guilty or were found guilty in the trial, the judge will then determine your sentence. Depending on the specifics of the case and if there is a prior criminal history, sentences could include an ignition interlock device, treatment programs, suspension of your license, incarceration, or your car could be impounded. Ignition interlock devices are common sentences and would require you to blow into a breathalyzer before you can start the car. Treatment programs like Alcoholics Anonymous or alcohol education classes are common and they must be completed before you can get your driver’s license back. Revoking or suspending the license is typically for cases where there has been a repeat offense, but you may lose your license when the initial arrest occurs. Appeals are only possible if there were procedural or substantive issues during the trial. Procedural issues are when something in the process is not done correctly. Substantive issues are when there is something wrong with the evidence or testimony that was presented during the trial. When you appeal the charges, you may go through the trial again or the charges may be dismissed. The state prosecution will also be there throughout the appeal process to argue that the guilty verdict was correct. If you’re facing DUI charges, this is simply a brief outline of the process; it is important to consult with a DUI attorney on your specific case. The entire DUI process involves various steps, paperwork, and requires various people to be involved. Don’t go through this along! The team at Donahue Law Firm have years of experience fighting DUI cases and they know what it takes to be successful. Before you go to court, contact the lawyers at Donahue Law Firm. We serve the community of Bend, OR and the surrounding areas.